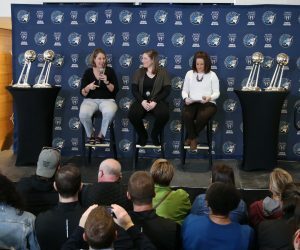 During Super Bowl week, Lynx guard Lindsay Whalen took ESPN’s Sarah Spain on a little mini tour of Minneapolis. The duo talked about a plethora of things, ranging from Whalen’s childhood and favorite food joints. There were five two-minute videos from the tour. In the first video, a caffeinated Whalen talks about playing in her own state and what that means to her. 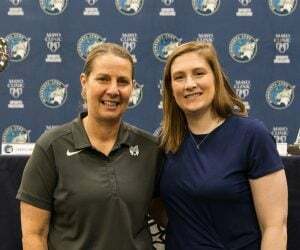 With Minneapolis hosting the #SuperBowl who better to take @SarahSpain on a tour than hometown hero and @minnesotalynx star @Lindsay_13? Here, the two eat a Jucy Lucy at Matt’s. It was Whalen’s first-ever Jucy Lucy. 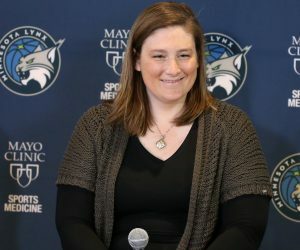 Whalen discusses her favorite childhood athletes and how she eventually got into basketball as a kid. Stop No. 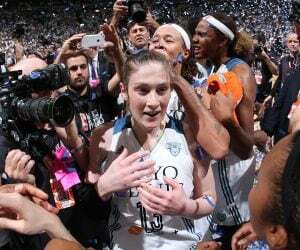 2 on @SarahSpain's #SuperBowl tour with @Lindsay_13: Matt's Bar. The duo does some more eating at The Freehouse. Ahhh, cheese curds. Instead of actually exploring the area, Whalen tells Spain her favorite spots in the area. In their defense, it was very cold outside. We would have done the same thing. At their final stop, Whalen and Spain stop at the Hewing Hotel for a little night cap. 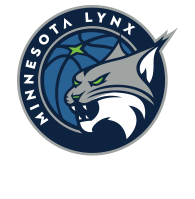 The two discuss how crazy it was going to Prince’s place after winning the 2015 WNBA Championship. Ice sculpted bars. Outdoor hot tubs. Delicious smelt.